Late last week, the most wonderful thing happened to me: While browsing through the stuff at my FLGS, I found out that the owner was currently selling two huge lots of assorted miniatures and bitz: One of those lots came from a former hobbyist who wanted to get rid of the last part of his collection, while the reason for the other lot being sold was, sadly enough, its owner having passed away. Anyway, the owner of my FLGS found himself in the (temporary) possession of two huge piles of models — and it shouldn’t surprise you that I was very eager to have a look at all of that stuff. This provided me with one huge moving box and several smaller shoeboxes of stuff to sift through, which was already brilliant fun in itself: With the internet so full of collectors, professional sellers and general information as to the worth and availability of miniatures these days, finding such a hoard of stuff has become increasingly unlikely, and so the simple act of digging through the piles of models alone was an experience to savour! Most of the models came from WFB, but there was such a mass of different models (and factions) present that it took quite a bit of discipline not to just buy the whole thing outright. Anyway, let’s take a look at the best parts of my haul (and also at the provisional ideas I have for this stuff), alright? While some of the regular models are missing, all the special characters, standard bearers, champions and musicians are still accounted for. 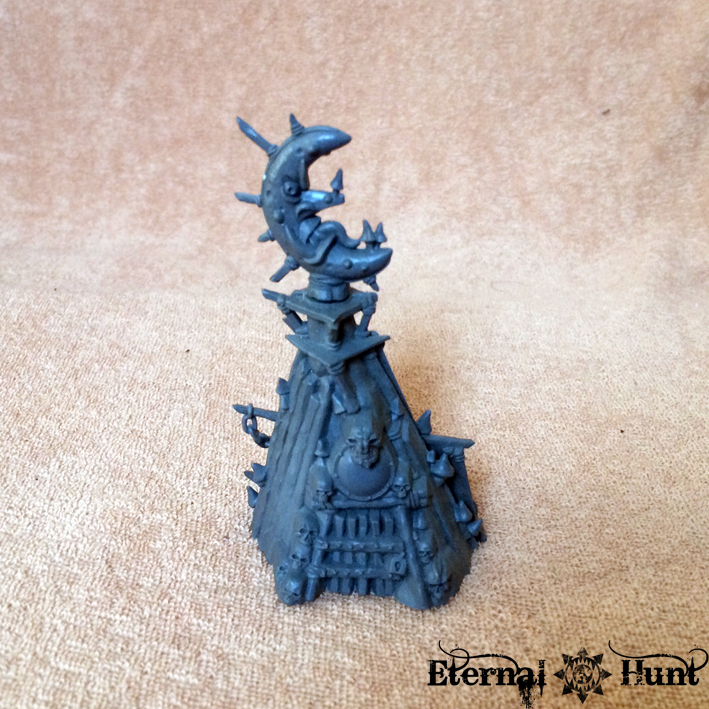 Plus there are also the little additional bitz and bobs and terrain pieces. I basically picked this up as a bonus, but I have a sneaking suspicion that I might already have a new home for these guys (Michael, if you’re reading this: Make sure to bring a big enough suitcase, when you’re in the area again, okay? 😉 ). 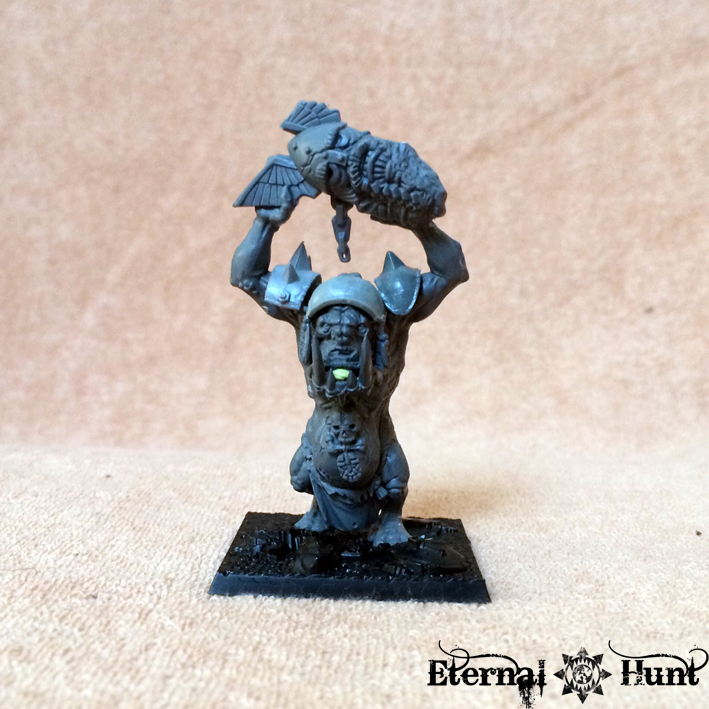 This was actually one of the high points of the purchase for me, because this guy will look perfect as a troll player for my orcish Blood Bowl team, the Orkheim Ultraz — as a matter of fact, you can already see the first parts of his Blood Bowl gear in the picture above. Nothing’s glued together yet, but I already like where this is going! This might come in handy for my Blood Bowl team or for the Mordheim Orc warband I’ve been planning for a while. 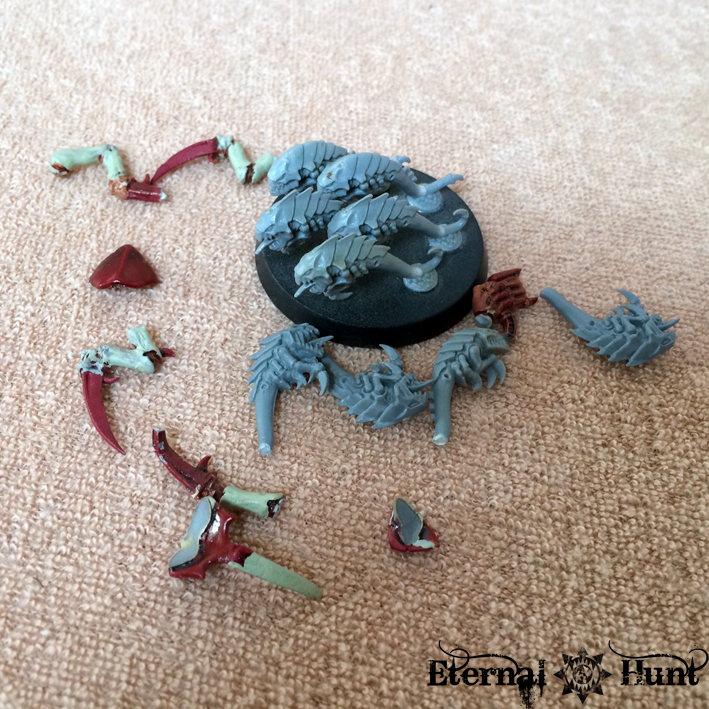 Come to think of it, including terrain pieces like this in the starter boxes was a really neat touch! They should do that again! 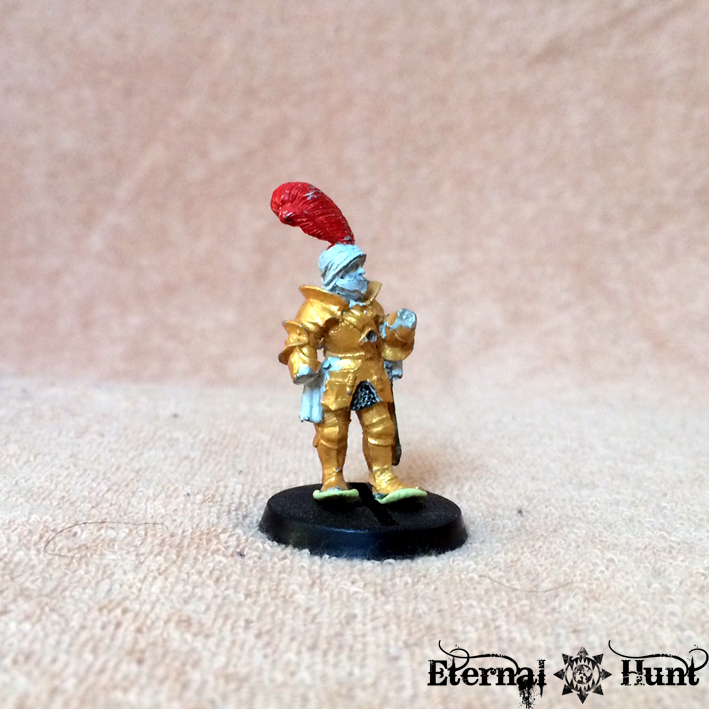 Upon closer examination, it becomes obvious that the sculpts and level of detail for starter box minis have increased dramatically since these models were released. But I still like them well enough, and finding them all together like this without a hassle certainly was a nice surprise! These are part of the still available Doom Diver Catapult — as a matter of fact, pretty much the whole catapult was included in the deal, although the greenskins themselves are definitely the stars of the show! 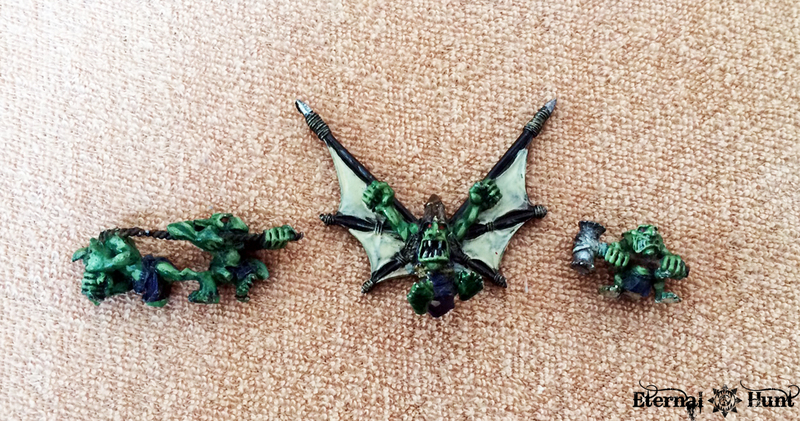 Again, these will probably be used for Mordheim or Blood Bowl (the winged goblin would be perfect for the latter…). 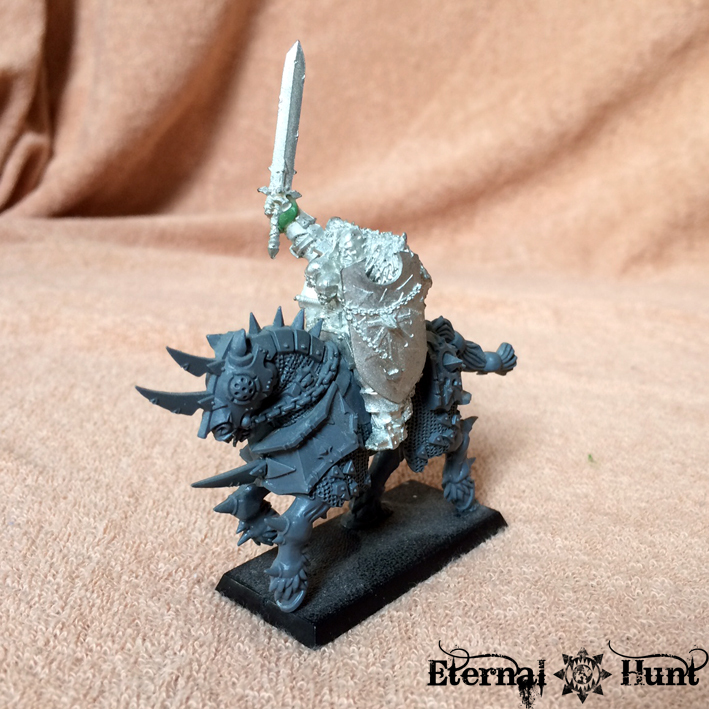 Pictured here is their champion, but I also purchased a standard bearer and an additional knight. While I don’t have any actual plans for these, I just had to pick them up due to nostalgia: I loved them so much back when they were released, but they were completely unaffordable to me. I just bought the riders, btw, because there is no more room for those terrible, generic 90s plastic horses in my life. But as you can see, the new chaos knight horses work like a treat with the older metal models. 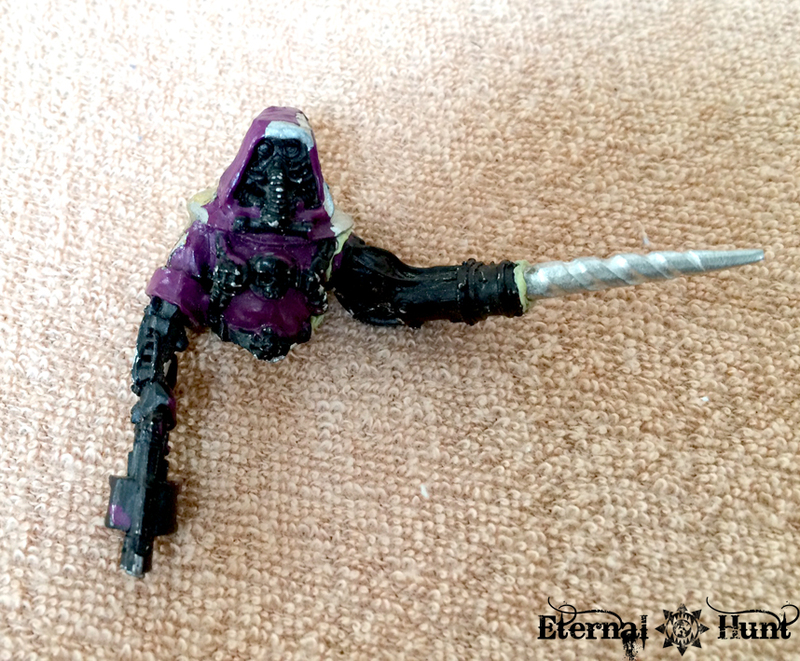 The Dark Emissary from the Albion campaign. 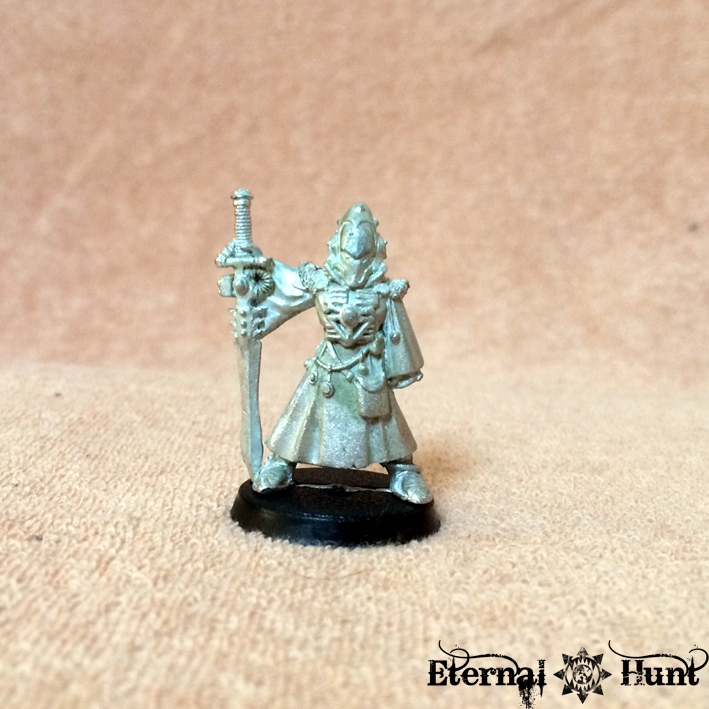 This guy was re-released in Finecast a while back and is still available. 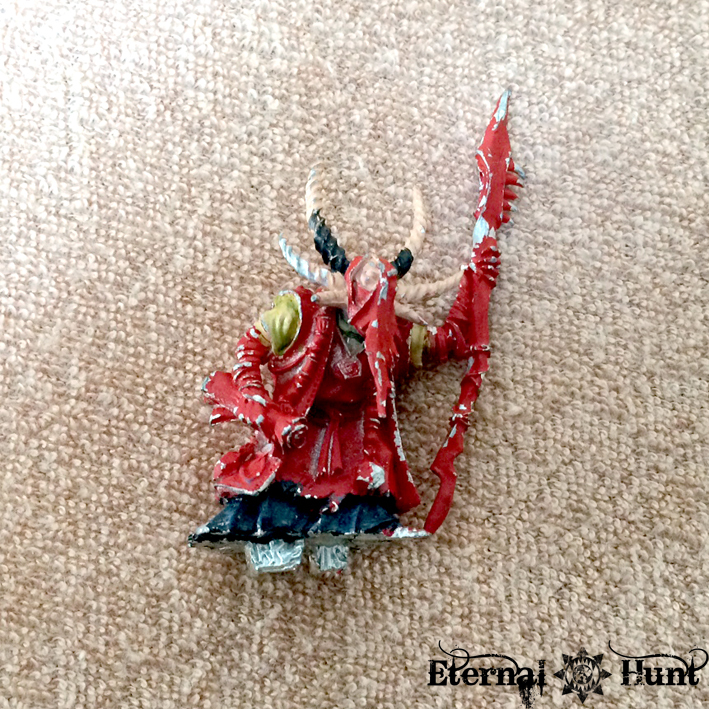 But finding him in a pile of shoddily painted Hormagaunts was still a rather nice surprise! 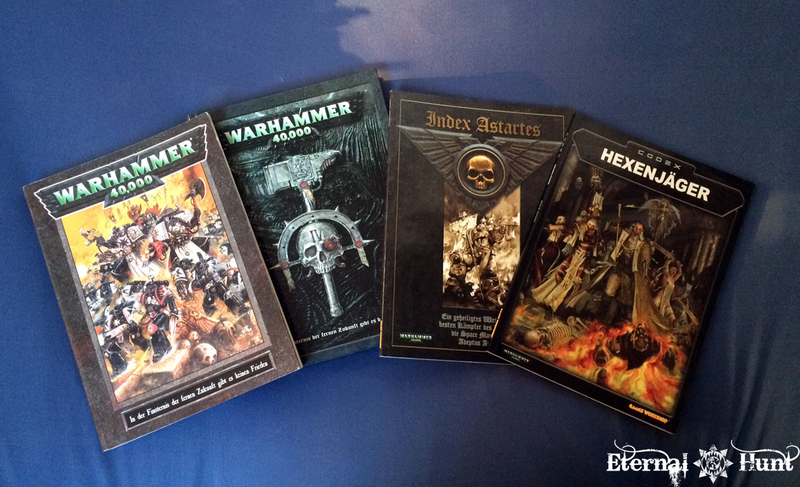 From left to right: The 40k 3rd and 4th edition big rulebooks (believe it or not, I have never owned those until now), one of the hallowed Chapter Approved compendiums (containing wonderful but somewhat outdated Index Astartes articles on the creation of Space Marines, Dreadnoughts, Librarians and on various chapters and legions: Dark Angels, Emperor’s Children, Iron Warriors, White Scars & Flesh Tearers) and Codex: Witch Hunters (obviously a must for any fan of the Inquisition). Anyway, so much for a very nice, hobby-related surprise! And wherever the original owners of these models may be now (in this world or in the warp), they may rest assured that their lead and plastic have found a good home with me! This entry was posted on September 30, 2014 at 19:30 and is filed under 40k, Blood Bowl, Chaos, Conversions, Inq28, Inquisitor, old stuff, Orcs & Goblins, Pointless ramblings, Totally worth it with tags 40k, blast from the past, chaos, conversion, games workshop, INQ28, inquisitor, kitbash, lucky purchase, my favourite hobby moments, wargaming on a budget, warhammer fantasy battles, wfb. You can follow any responses to this entry through the RSS 2.0 feed. You can leave a response, or trackback from your own site. That’s a great loot find. Excited to see what you do with everything! Were you referring to a different Michael? Just wanting to make sure, I have no real interest in Dwarfs. ;D Totally jealous of the Nid bits though, I love the models but can’t justify a kill team in light of my larger Inquisition project (which, by the way, has been christened the Phantom Regiment, in honour of my favorite Drum Core from DCI (Drum Corps International)). Cheers, mate! Nah, sorry, I was referring to my buddy Michael who started a WFB dwarf army fairly recently. My jealousy knows no bounds. NO BOUNDS! No worries, Keb: The most I will do for now is to strip the colour off him. I remember seeing those chaos knights when the army book came out and instantly falling in love with them! Don’t get me wrong, I love the plastic chaos knights, but the heads on the older models are just perfect — and I wish they’d kept those fur capes for the plastic version! I’m pretty much convinced already that the best way to make use of unused bits is to send them over to you 🙂 good luck with the find and let’s see what you’ll come up with them!